Rochester-based ARD Resins Ltd has worked closely with leading resin manufacturers Resin Surfaces (RSL) to provide a smooth solution to a heavy-duty brief from a large scale engineering business. Westwell Developments Ltd, also based in Rochester, specialises in the refurbishment of large plant/mechanical equipment and the manufacturing of “one off” bespoke components. 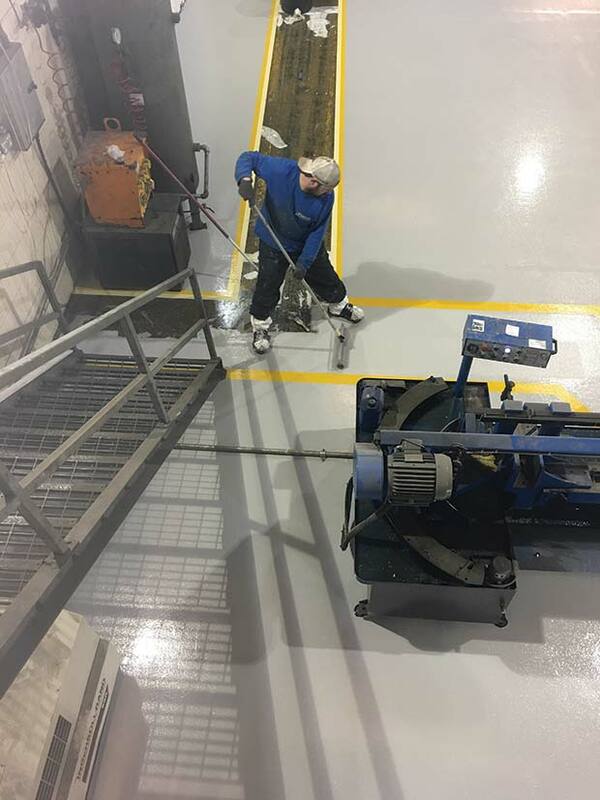 The company required a durable, heavy duty flooring solution over 350sq feet to support machinery with lifting capacity of up to 60,000 tonnes. It also needed to be non-slip to meet strict on-site health and safety demands. There was a seven day window for the work ahead of a 30 tonne LEGO Land ride which was due in for refurbishment. Prior to the install ARD Resins used a diamond grinder to the substrate to remove all grease, oil and other debris, applied crack treatment, filled all holes and uneven areas. They then used RSL’s Dampshield product to provide a key damp proof membrane over the existing concrete slab base and installed Resucoat™ HB as the high-build coating, incorporating a textured finish to meet the non-slip aspects of the brief. The contractor then applied safety lines, installed yellow exit/walkways and a red welding bay area. This year RSL celebrates 35 years supplying the industrial flooring industry, providing an unrivalled bank of experience in product development and technical competency. Now part of the global Sherwin Williams organisation the firm is now a one-stop shop for coating solutions across a range of industries. Customers include BAE Systems, AstraZeneca, Pepsi, McVitie’s, Coca Cola and Unilever. Going in the new lease of life right direction?